The KBXX-FM, Madd Hatta’s $10,000 All-Star Cash (“Promotion”) will begin on Wednesday, January 2, 2013 at 9:00 A.M. Central Standard Time (“CST”) and end on Thursday, February 14, 2013 at 11:59 P.M. CST (“Promotion Period”). One (1) grand prize winner will be awarded Ten Thousand Dollars ($10,000.00) cash. 1. Beginning Monday, January 7, 2013 at 5:00 A.M. CST and ending Thursday, February 14, 2013 at 11:59 P.M. CST, listeners will be encouraged to listen to KBXX-FM, Monday through Friday during the hours of 5AM, 7AM, 9AM, 11AM, 1PM, 3PM, 5PM, 7PM, 9PM and 11PM for the “All-Star Star Song of the Hour” announcement. 2. When the designated song is played in its entirety during the designated hour announced on KBXX-FM, participants must be the 9th caller on the KBXX-FM request lines by dialing 713-390-5979. Upon becoming the designated caller, the participant must correctly identify the song title to be deemed a Promotion winner. Upon providing the correct answer, winners will be offered the designated qualifying prize (qualifying prize items will vary throughout the Promotion Period). At the time of the call, the qualifying winner will be asked to verify their contact information (name, address, phone number, email address). Promotion qualifiers will be entered into the drawing for a chance to win the grand prize. 3. WARNING: Online listeners to streamed broadcasts may experience a lag in transmissions due to buffering limitations. Promotion participants should not rely on streamed broadcasts. 4. Participants may only win one (1) qualifying prize during the Promotion Period. 1. Eligible participants can register by providing their name, address, and other requested information on an official registration form available during normal business hours between Wednesday, January 2, 2013 at 9:00 A.M. CST and Wednesday, February 13, 2013 at 8:00 P.M. CST at Shabana Motors located at 9811 Southwest Freeway, Houston, Texas 77074. 2. Entry forms must be completed in their entirety and submitted (prior to the deadline) into the official entry form receptacle available on-site during the Promotion Period. Only one entry per person is permitted during Promotion Period. 3. Entry deadline is Wednesday, February 13, 2013 at 8:00 pm CST. 1. The Promotion is open to listeners of KBXX-FM who are who are eighteen (18) years of age or older on the date of entry, and are legal residents of the United States residing within the Houston/Galveston, Texas listening area. 2. Employees of KBXX-FM, Radio One of Texas II, LLC, Shabana Motors LLC (“Sponsors”), their respective subsidiaries, affiliates, general sponsors, advertisers, competitors, promotional partners, other radio stations in the Houston/ Galveston, Texas metropolitan area, and members of their immediate families (defined as spouse, child, sibling, parent, or grandparent), and members of the households (whether related or not) of any of the above are NOT eligible to participate or win in this Promotion. 3. Once an individual wins a prize in this Promotion, they are not eligible to win another prize in this Promotion except as specified within these rules. 4. Persons who have won a prize in another Contest or promotion of any kind from KBXX-FM within the thirty (30) day period immediately preceding the start date of this Promotion are not eligible to participate. Only one person per family or household (whether related or not) may win in any promotion from KBXX-FM during any thirty (30) day period. 5. Participants agree to abide with any applicable federal, state, local laws and regulations. Event tickets, CDs, DVDs, movie passes, T-shirts, etc. 4. To the extent that prize elements are provided by third-party providers, winner agrees to look solely to applicable prize providers with respect to any claims, losses, or disputes in connection therewith. 5. Prizes that are not mailed (via us mail or UPS) or provided by the participating sponsor must be claimed at the station’s offices within thirty (30) days of the date of winning. 6. No substitution of prize is offered, no transfer of prize to a third party is permitted and non-cash prizes may not be redeemed for cash value, except as determined by station management and/or the sponsor in its sole discretion. 7. All winners must sign and date official station release and waiver forms, an Affidavit of Eligibility and Publicity/Liability Release form as requested. Failure to do so will result in winner forfeiting the prize. The Affidavit of Eligibility must be complete and include winner’s social security or resident alien identification number. The information in winner’s Affidavit of Eligibility must be correct and must mirror the information provided in winner’s entry or the winner will be disqualified. 8. If the winner cannot be contacted, is ineligible, fails to claim a prize or fails to return the completed and executed Affidavit/Release as required, or if the Prize Notification or prize is returned as undeliverable, the prize will be forfeited. 9. All cash prizes won will be awarded in the form of a check. Winners will be notified when their prize check is available for pick-up. 10. If for any reason a winner decides not to accept an awarded prize, the winner will be required to sign a release form acknowledging forfeiture of the prize. It will be at the discretion of the Promotion sponsor and / or Promotion administrator if another participant is to be selected as the winner if time permits. 11. If a winner does not claim their prize within thirty (30) days of winning notification, the prize will be forfeited. No unclaimed prizes will be awarded. 12. In the event any winner is found to be in violation of these Official Rules or is otherwise determined by KBXX-FM in its sole discretion to be ineligible, he/she will be required to forfeit the prize or to reimburse the Station and / or the Sponsor for the stated value of a prize if such violation is found after the prize has been used by the winner. 13. Winners will be instructed to come to the offices of KBXX-FM located at 24 Greenway Plaza, Suite 900, Houston, Texas 77046 to claim their prize. The winners must provide two forms of official identification to claim prize. Acceptable forms of identification include a valid Texas driver’s license, passport, or other valid government-issued photo I.D. Identification documents must match the information provided at the time of Promotion registration. During the Promotion Period, eligible listeners will be encouraged to participate in the Promotion through one of two methods: (1) by being the correct caller at the designated phone number when the designated song of the hour, as announced by the on-air personality has played in its entirety on KBXX-FM and correctly answering identifying the song of the hour; or (2) by submitting a completed entry form at Shabana Motors. 1. On Friday, February 15, 2013, KBXX-FM promotions staff members will select one (1) potential grand prize winner at random from among all eligible participants that qualified via on-air contesting and those that participated via retail registration. Upon eligibility verification, the winner will be notified by phone and/or e-mail and provided with instructions for claiming the prize. 2. Winners will be instructed to come to the offices of the Station located at 24 Greenway Plaza, Suite 900, Houston, Texas 77046, to claim their Prize. 3. Winners must provide valid identification (i.e. via driver’s license, passport or other government-issued photo I.D.) to claim the Prize. Identification documents must match information previously provided to the Station. 4. All decisions made by KBXX-FM and Radio One of Texas II, LLC management regarding any aspect of this Promotion are final. 1. Winners are responsible for all applicable taxes associated with the receipt of the prize (prizes are not transferable and may not be exchanged). 3. Any information collected by registering to enter the Promotion shall be used only in a manner consistent with these Official Rules. 4. No purchase necessary. Promotion is void where prohibited. Promotion is subject to all applicable federal, state and local laws and regulations. 5. By participating in the Promotion, the winner or winners agree to have their name, voice, video image, or likeness used in any advertising or broadcasting material relating to this Promotion, in any media now known or hereafter devised for advertising or promotional purposes without additional compensation, and must sign a publicity release prior to acceptance of the prize. By entering this Promotion, each participant agrees to comply with the Official Rules and the decisions of the Promotion sponsor which shall be final and binding in all aspects relating to the Promotion. 6. All winners will be required to sign a liability release prior to acceptance of any prize. Pursuant to the liability release, the winner or winners will agree to hold KBXX-FM, Radio One of Texas II, LLC; Shabana Motors LLC, any other Promotion parties and each of their respective affiliates, subsidiaries, agencies, officers, shareholders, directors, employees, agents and representatives of each of the foregoing, harmless against any and all claims or liability, directly or indirectly related to or arising from or in connection with Promotion participation or the acceptance, possession or use / misuse of awarded prize or any portion thereof, or participation in prize-related activities, including but not limited to any related travel. 8. The Station retains the right to disqualify any participant if all Promotion rules are not followed. Promotion void if prohibited by law. 9. So long as no participant is materially adversely affected, the station reserves the right to make changes in the Promotion rules, which will become effective upon being announced on the air and / or posted online. 10. KBXX-FM, Radio One of Texas II, LLC; Shabana Motors LLC, participating sponsors and their respective parent companies, subsidiaries, affiliates or their representatives, agents and employees are not responsible for the inability of any participant to complete or continue a telephone call, facsimile transmission or internet registration due to equipment malfunction, busy lines, inadvertent disconnections, unavailable network, server, Internet Service Provider (ISP) or other connections, communication failures or human error that may occur in the transmission, receipt or processing of entries. In addition, KBXX-FM, Radio One of Texas II, LLC; participating sponsors and their respective parent companies, subsidiaries, affiliates or their representatives, agents and employees are not responsible for lost, misdirected, mutilated, illegible or incomplete Promotion entries. Once submitted, entries become the property of the station and will not be returned. 11. By accepting the prize, the winner acknowledges that KBXX-FM and Radio One of Texas II, LLC; have neither made, nor are in any manner responsible or liable for, any warranty, representation or guarantee, express or implied, in fact or in law, relative to the prize or to any portion thereof, including but not limited to its quality, mechanical condition or fitness for a particular purpose. 12. 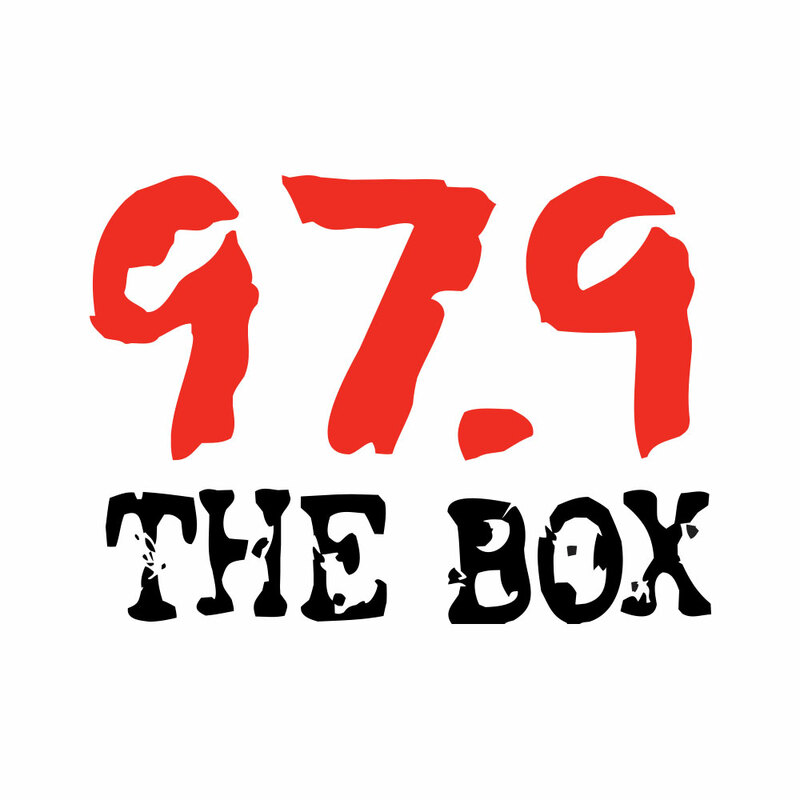 KBXX-FM, Radio One of Texas II, LLC; its subsidiaries, its affiliates, participating sponsors and promotional partners will not assume any responsibility for any changes in the execution of the Promotion, including; cancellation of the Promotion as a result of the occurrence of events not within the control of KBXX-FM, Radio One of Texas II, LLC; its subsidiaries, affiliates, participating sponsors, promotional partners and other radio stations, such as acts of God, strikes, terrorists acts or criminal acts of third parties. In the event, such an act should occur; KBXX-FM may in its sole discretion, offer the winner comparable prize(s) currently being offered by the station in lieu of the prize originally awarded. 13. If for any reason, the Promotion is not capable of running as planned, including without limitation, any suspected evidence of tampering or technological corruption or if any portion of the promotion is compromised by virus, bugs, worms or unauthorized human intervention, fraud, an insufficient number of qualified Promotion entries, or any other causes beyond KBXX-FM and Radio One of Texas II, LLC’s control which, in KBXX-FM and Radio One of Texas II, LLC’s sole opinion, corrupts, threatens or impairs the administration, security, fairness, integrity, or proper conduct of the Promotion, KBXX-FM and Radio One of Texas II, LLC reserve the right to cancel, terminate, modify or suspend the Promotion at their sole discretion. 14. Any attempt by an entrant to deliberately undermine the legitimate operation of the Promotion may be in violation of criminal and civil laws and should such an attempt be made, KBXX-FM and Radio One of Texas II, LLC reserve the right to seek remedies and damages (including attorney’s fees) from any such entrant to the fullest extent of the law, including criminal prosecution. 15. Copies of complete Promotion rules are available upon request during regular business hours, Monday – Friday 9:00 a.m. to 5:00 p.m., in the offices of KBXX-FM located at 24 Greenway Plaza, Suite 900, Houston, Texas 77046. Or to receive a copy, send a self addressed stamped envelope to KBXX-FM Promotions Department c/o “Madd Hatta’s $10,000 All-Star Cash”, 24 Greenway Plaza, Suite 900, Houston, Texas 77046.